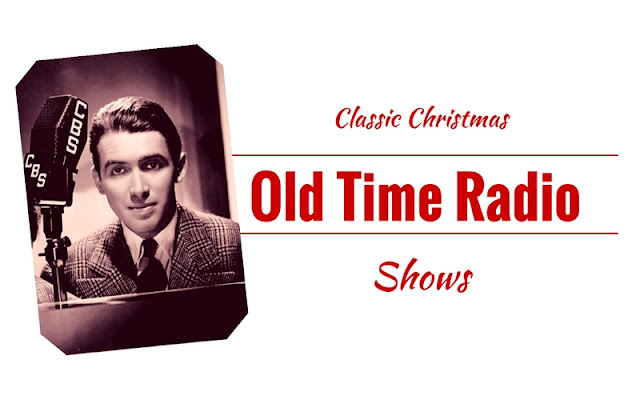 Old time radio fans know that many of the sitcoms and other series during the Golden Age of Radio would do Christmas specials each year to the delight of their audiences. But did you know that oftentimes the anthology programs would adapt film scripts of the day into radio plays? Several Christmas-themed films were adapted for audio and featured many members of the original cast. We wanted to share a few of these Christmas classics with you this holiday season. Campbell Playhouse dramatization of "A Christmas Carol" by Charles Dickens narrated by Orson Welles and starring Lionel Barrymore. The original broadcast was from Christmas Eve, 1939. The Lux Radio Theatre dramatization of "It's A Wonderful Life" from March 10, 1947 starring Jimmy Stewart and Donna Reed. The Lux Radio Theatre adaptation of "Miracle On 34th Street" starring Maureen O’Hara as Doris, John Payne as Fred and Edmund Gwenn as Chris Kringle. Originally broadcast on December 20, 1948. Hallmark Playhouse half-hour adaptation of O. Henry's "The Gift Of The Magi". Originally broadcast in 1949. Radio City Playhouse adaptation of "'Twas The Night Before Christmas" from 1949. Enjoy these fun Christmas OTR shows! Merry Christmas! Thanks to Victoria Lynn and Taylor Kent for contributing research to this article.